The Magpie's Nest...: On the anniversary of infamy, a bitter moment of reflection for Australia. On the anniversary of infamy, a bitter moment of reflection for Australia. 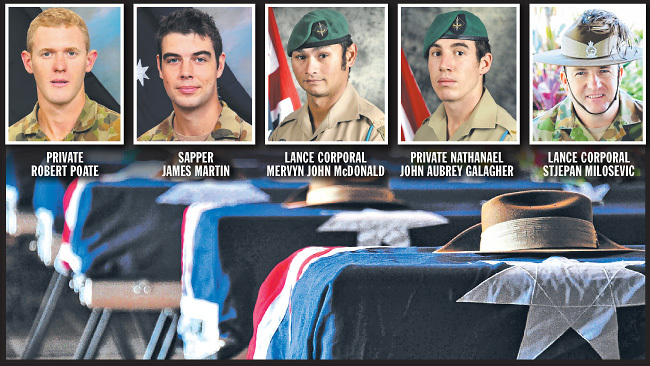 There is a sad symmetry to the fact that on this day – September 11 – two of the three soldiers murdered by a turncoat Afghan infiltrator in Australian ranks, are buried. Lance Corporal Stjepan ‘Rick’ Milosevic, was buried in Brisbane and Private Robert Poate in Canberra. 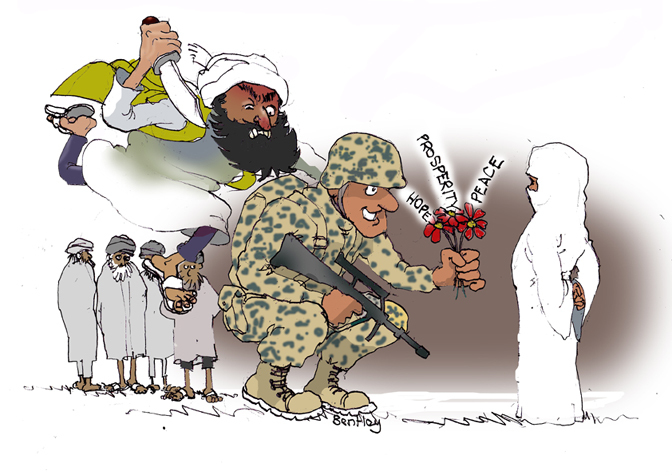 It is the 11th anniversary of the 9/11 attacks in the United States, attacks which sparked the War on Terror, a major component of which was the invasion and continuing presence of the western allies in Afghanistan. It was that presence which led diggers Milosevic, Poate and sapper James Martin to be in Afghanistan on August 29 last, when they were gunned down in a cowardly barracks attack by one of the Afghan’s they were helping train to defend his own country. When men go to war, they and their families know the risks involved – it is a stoic history over the generations of our nationhood. But treachery adds a bitter element of base betrayal to the deaths of these three of men. There is no hierarchy of valor when a digger dies while on active duty, but there are many – I am among them – who feel particularly frustrated and angry on this occasion. Bentley is also of a like mind, and he penned this eloquent summation of the plight in which the Aussies – indeed all the Allies – find themselves when battling medieval morality and terrorism. It is a plight they willingly undertake to keep us - and others - safe. Two SAS soldiers, Lance Corporal Mervyn John McDonald and Private Nathanael Galagher, also died at the time in a separate and unrelated event, killed in a helicopter crash. It is a shame that there are some within our Nation who take advantage of the very freedom for which generations of young men have died so that they may find excuses for our enemies whilst ridiculing and fettering our ongoing efforts to maintain that freedom. Worse still, they use the deaths of these heroes to justify a demand for a withdrawal that shall, with certainty absolute, return that country to barbarism and the worst kind of violent secular insanity. Well said, and I would go as far as saying, also the view of the silent majority.